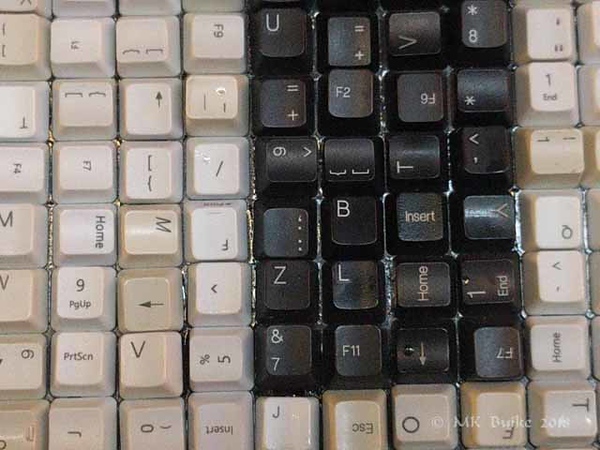 It seemed like a good idea at the time. 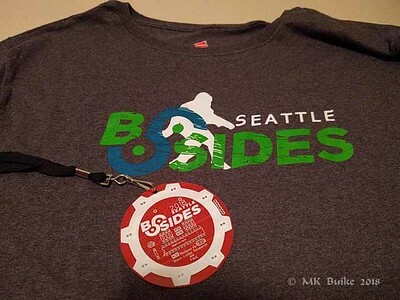 I joined Himself in registering for the Seattle version of BSides, a virtually free IT security conference. 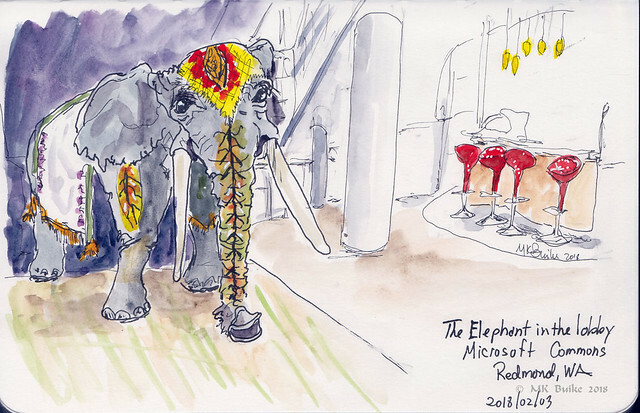 My reasoning was that it gave me a reason to go to the Microsoft campus in Redmond where I planned to spend most of the day sketching. Since I did register, I got the t shirt and the hackable electronic badge. I chose not to use the soldering station to add the included components to it. I forgot that in early February it would likely be raining. Having never been there before I also didn't realize that the buildings at Microsoft were all, boringly, of very similar architecture. 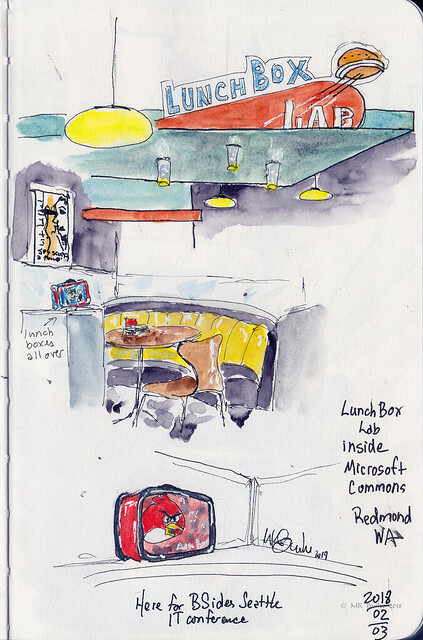 I know, we Urban Sketchers are supposed to find what's interesting in the most boring of built environments. But I wasn't very motivated to stand in the chill and damp to sketch boring. There were overhangs, so I wouldn't have gotten really wet. Still. Boring. I tried attending one or two of the lectures. Unlike BSides Las Vegas, all the presentations were significantly over my head! I was determined to find something to sketch. We were in the Commons building where there were at least a dozen restaurants. None were open but I could wander through some on the upper level. 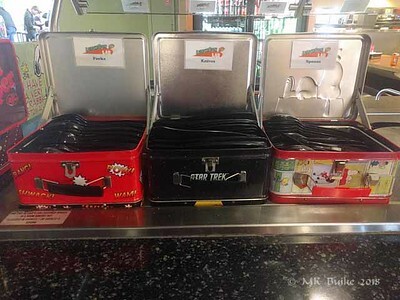 The Lunchbox Lab was interesting but a challenge to represent as a sketch so I did a montage. 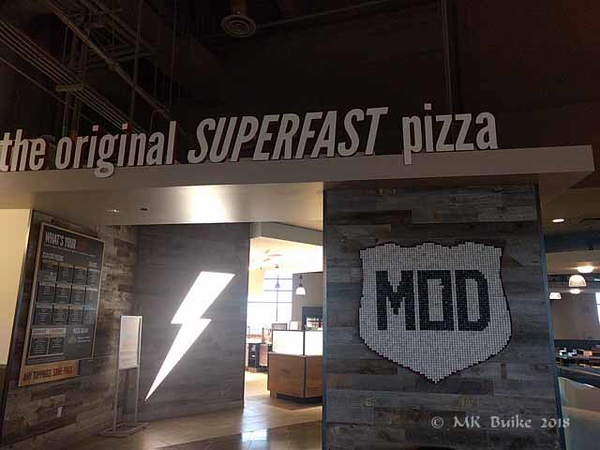 At MOD pizza, the sign is made of the keys from computer keyboards! I then wandered around the lower level but all the restaurants were gated up. I did find an elephant, though! It's not a mount but a sculpture made of some sort of fabric over a frame.